I really only wear one scent – One. 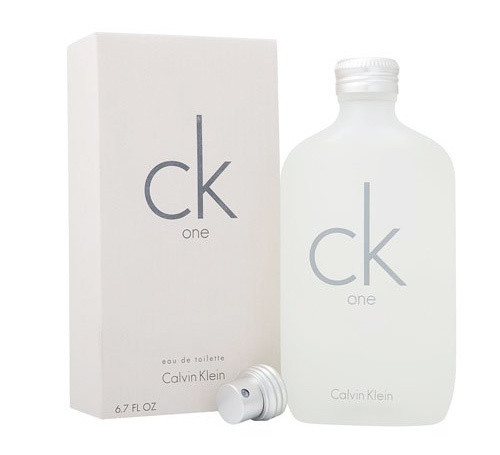 Unisex, CK One is consistently clean and fresh and never seems to turn on me. Plus, the complete line gives me one signature fragrance head to toe. Cologne spray, deodorant, body wash, moisturizer. I’ve also got a personal CK One secret. Here goes: I fill almost empty cologne spray bottles with vitamin E and baby oil with aloe, then I mist my body down with scent and skin preserving enriched mineral oil that lasts all day. It makes for an all over fragrance that never overpowers. Perfect gift for yourself or someone whose fragrance matters to you.